You've never seen shopping like this. The Midwest's largest Flea Market, top 10 things to do in Indiana, and Leisure and Travel says it's one of the best Flea Markets in the country! With 900 vendors, the possibilities are endless: landscaping, fresh produce, art, home decor, furniture, crafts, antiques, purses, jewelry...and so much more! 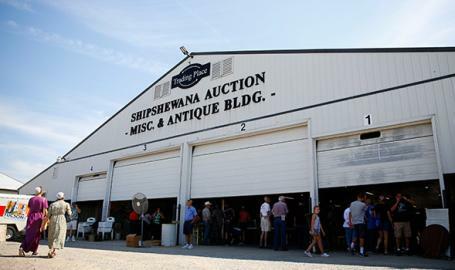 The flea market is open Tuesdays and Wednesdays, 8 am - 5 pm, May through September.